The hike said "strenous" and the long, twisty descent down the stairs showed they meant it. Fortunately, the trail is a loop and you don't have to come back up ALL of those stairs. Crab Tree falls is the reward for the hike. A long exposure and some dust on the lens to highlight the sun, combine to make a great photo right ouf of the camera. 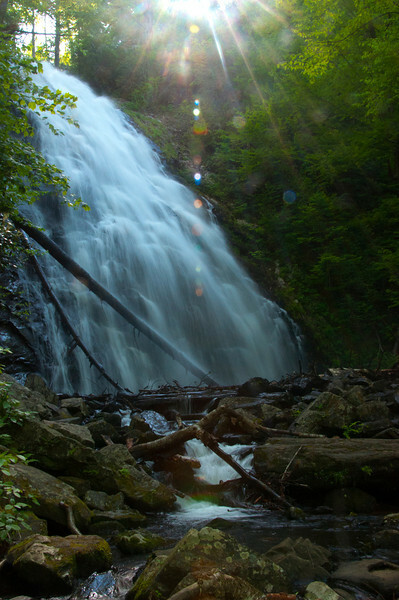 Crab Tree falls is located on the BlueRidge Parkway in North Carolina.